Gaming, as we all know, isn’t exactly a super active hobby or profession. Gamers are sitting down for multiple hours each day, and if you’re going to do that you better make sure that you’re sitting comfortably and doing so in a chair that adequately supports your back and body, whether that’s a gaming branded chair or not (click here to see our take on the whole ‘gaming chair vs office chair’ debate). 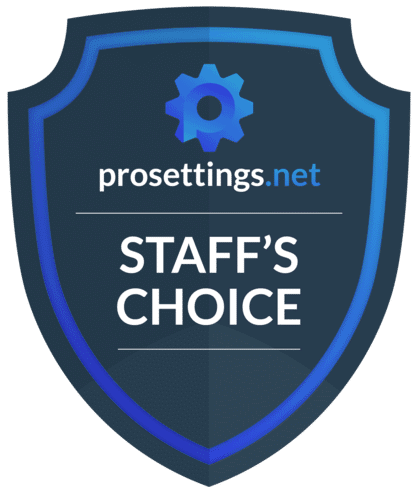 We here at ProSettings want to cover everything that can help you become a better gamer, and since a chair is an often overlooked and neglected part of a gaming setup we’ve been eyeing the best chairs out there and sending them out for review to our staff. 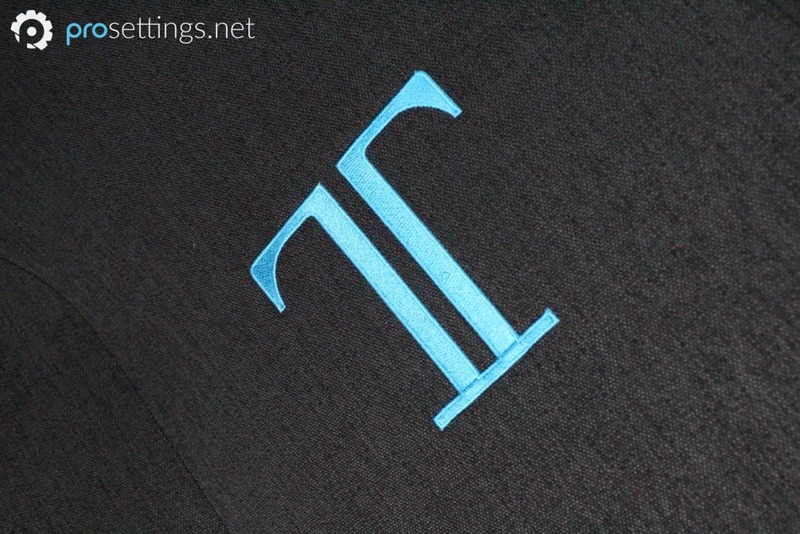 Today we’re taking a look at Secretlab’s Titan Softweave chair. Secretlab has been known to make very high quality chairs for a while now, and with their new mesh based Softweave upholstery option they’re trying to revolutionize the game once again. 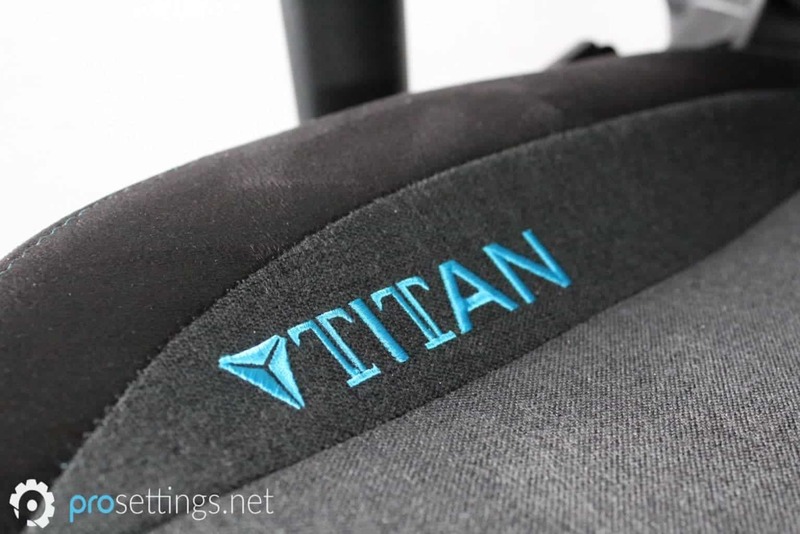 Is the Titan Softweave worth your money or should you turn your back on it the moment you see it? We’ll give you the rundown below. The Titan Softweave comes in a pretty regular looking cardboard box with the name of the model on it and so forth. Inside the box you’ll find everything that you need in order to assemble the chair, as well as an assembly manual and an aftercare guide. Amusing thing here; the assembly manual said that I’d need a Phillips head screwdriver, but the included Allen wrench already had a Phillips head on the other side, so I didn’t actually need that. Special mention should go to the assembly manual, by the way. It’s more of a cardboard poster than a typical booklet style manual, with pictures provided with every step. If that’s not enough for you Secretlab also has full videos of the assembly process on their YouTube channel. Putting the chair together was an absolute breeze, thanks to these super detailed instructions. Everything you could possibly want out of a desk chair is featured on the Titan Softweave: the chair has a tilt and tilt locking mechanism, the backrest can recline, it has 4D adjustable armrests, a sturdy 5 point base and there’s a more than fair amount of height adjustment. Lumbar support comes built in to the chair (more on this later) and an included neck pillow finishes off the main features of the chair. It’s a supremely well-built chair, and the Titan model will support up to 130 kilograms. 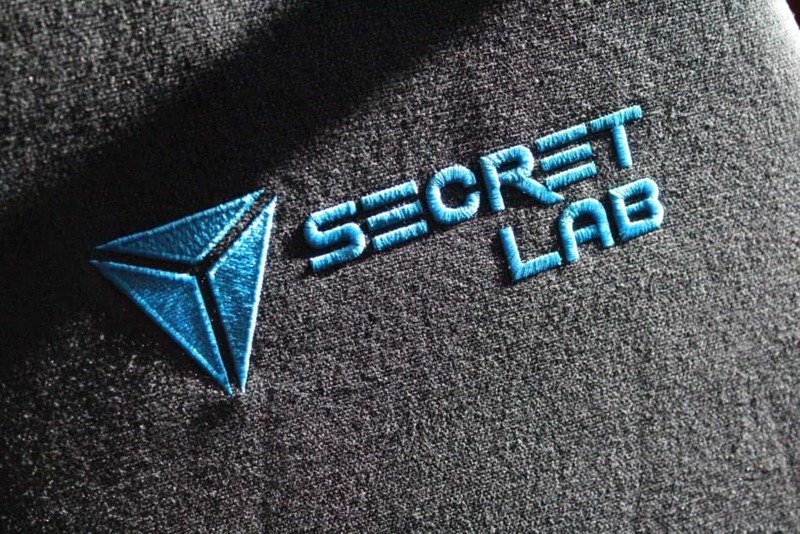 The name already betrays it, but the Titan Softweave features Secretlabs’ new Softweave material, which is a lightweight and breathable blend of fabric, designed by Secretlab themselves. The chair I got for review is the Charcoal Blue version, by the way. The chair’s base is made out of a special aluminium mix, which is said to be immune to corrosion and rust, on top of being very strong. I haven’t had the chair long enough to test the first claim, but I can attest to the fact that everything about this chairs feels very sturdy and well-built. Important: everyone is different and every person has their own unique body and preferences. What’s right or perfect for me might not be the same for you, or the other way around, so it’s incredibly important that you get a chair that’s the right size for your body. If you don’t it doesn’t matter how nice and well-built the chair is. For reference: I am 183 cm (which is around 6 ft) and I’m moderately built. When you first take a gander at the fully assembled Titan Softweave one cannot help but marvel at how good it looks. The stitching is top notch, the upholstery looks extremely premium, and everything about the build and finish of this chair looks like it’s done to a very high standard. 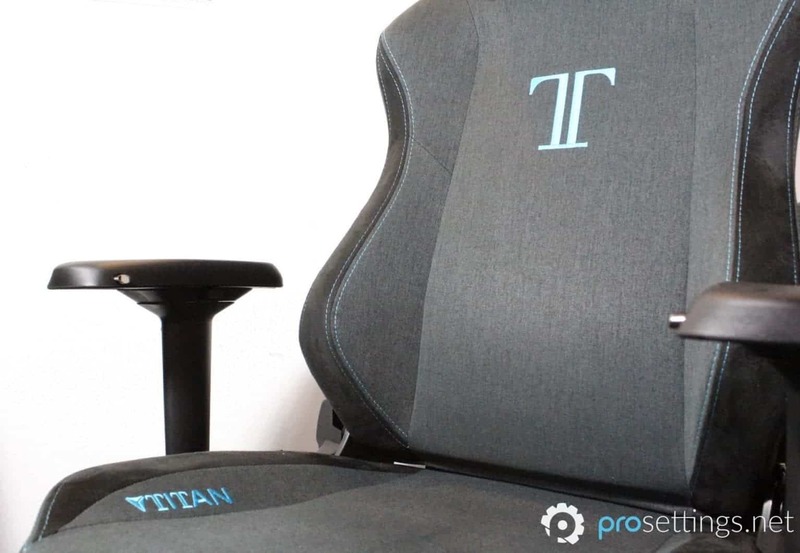 I do think that they went a bit overboard with the logos; there’s ‘Titan’ on the seat, a T logo on the backrest, Secretlab on the front and back of the headrest, and ‘Titan’ on the back of the backrest. I don’t mind this at all (and the blue suits my setup and lighting which is mostly made up out of blue accents as well) but for some it might be a bit much, especially since Secretlab doesn’t (yet?) sell a stealthier version. I’m not a fan of (fake) leather when it comes to the finishing of stuff I need to sit in, so the warmer, cozier look of this new Softweave material immediately makes me want to go and sit in the chair, which coincidentally is exactly what I did. If you’ve never sat on a Secretlab chair before you might be in for a bit of a surprise when you first plop down in one of their chairs. 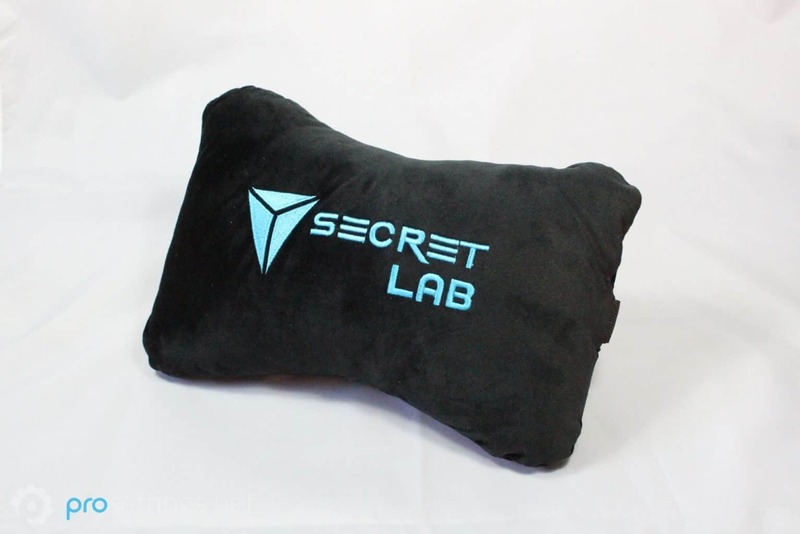 Whereas other manufacturers usually go for that ‘couch that’s been worn in for years’ sort of softness to their chairs Secretlab takes a different approach. The Titan is built with Secretlab’s signature cold-cured foam, which will ensure that the chair will keep its shape and form for many, many years to come, but it does require a little bit of break-in time. At first I honestly thought this sort of chair wasn’t going to be for me, but after only a couple of hours I quickly changed my mind, though more on that later. The seat itself is nicely finished, with the material of the upholstery generously folded over the edge of the seat to ensure that there are no pressure points or awkward humps and bumps to annoy your thighs. Overall it’s just really easy to see how much attention to detail Secretlab puts into their products. The neck pillow, which is covered in a soft velours, has a little rubberized strip on the back in order to keep it from sliding out of position, for example. And the band that’s used to attach the pillow to the chair has adjustment clasps, so that you can tighten the band when the material inevitably starts wearing out over time. Lumbar support in this chair comes built in. You can increase or decrease the amount of protrusion via a knob to the right of the chair, and I love this function. 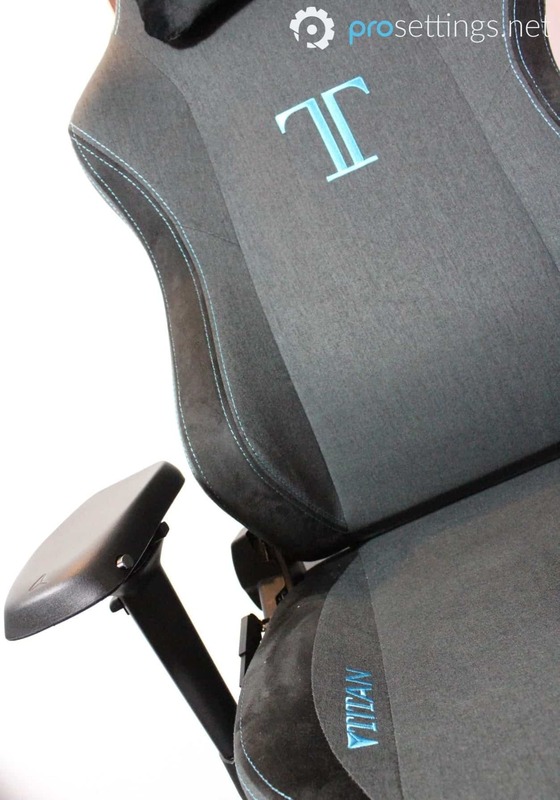 Lumbar support on most gaming chairs comes in the form of these cushions that come on straps that are meant to hold the cushion up. At first this works great, until the straps get worn and you’re stuck having to adjust the pillow every time you adjust your seating a little bit. It’s only a minor annoyance, but I do really appreciate the way Secretlab has integrated their lumbar support. The only downside here is that you can’t really adjust it when it comes to the height. If you’re too large or too small for the chair you might find that the lumbar supports comes in either too high or too low on your back, but that’s of course also a reason that you should check what size of chair you need beforehand. Obviously the most important aspect of this chair is going to be how it sits and how the upholstery feels. As I mentioned earlier: the Titan definitely isn’t the softest, most ‘sitting on a cloud’ feeling chair out there, but it really doesn’t have to be, unless you’re absolutely looking for that couch style feeling. It took a couple of hours for me to get to know the chair, and vice versa, but once I got passed the break-in period I really fell in love with this chair. I can honestly say that I can spend hours upon hours in this chair (and I often do, as I mostly work from home and my gaming PC is at my desk as well) without ever feeling the need to get up and stretch a little bit or what have you. I probably should (you should never sit down for too long) but the fact that I never once got that feeling where my lower back is nagging or my bottom starts feeling uncomfortable is amazing in its own right. 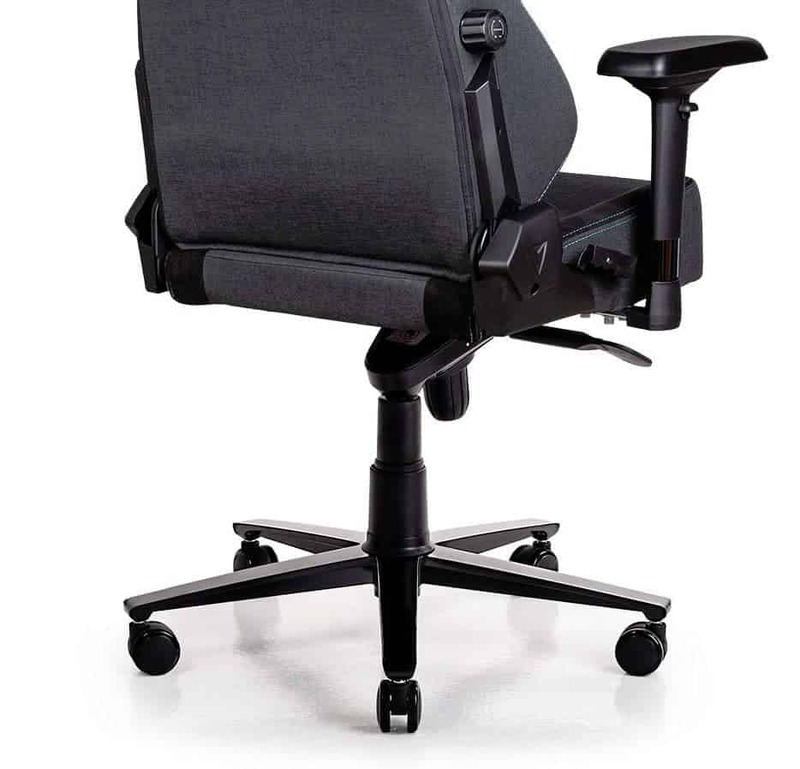 This is probably down to a few factors: the overall firmer sensation that this chair gives you sort of ‘forces’ your body to sit in an ergonomically more responsible position, and the fact that you can adjust everything on the chair makes it so that you can spend your time behind your desk in a variety of position whilst still being comfortable. And comfortable it is. 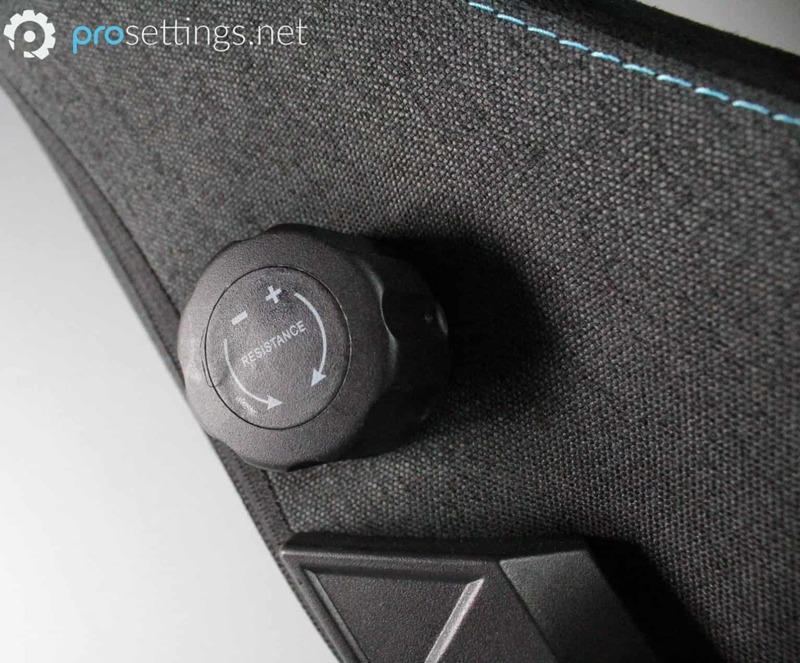 The fact that it’s firmer than most gaming/office chairs I’ve come across doesn’t mean that it feels like you’re sitting on a wooden board or anything. There is plenty of padding in both the seat and backrest, and it really does feel like the foam that they used in this chair will keep its shape and form for a very, very long time. On to the big selling point here then; the Softweave fabric. Secretlab custom designed this Softweave by ‘weaving together top-quality 350gsm short-yarn and finishing it off with a grinding process to create a unique and ultra soft and fluffy texture.’ I’m not one to instantly believe whatever manufacturers write, but boy do I love this Softweave upholstery. It’s rather stretchy, yet it still feels remarkably strong and resilient. The fact that it’s a sort of mesh means that it’s going to be way more breathable than your standard leather chairs, meaning that you can comfortably sit in the chair for hours without ever getting sweaty in spots you don’t really want to be sweating. Concerns could be raised about stains and spills; the chair is easy enough to clean by running over it with a vacuum cleaner, though it’ll obviously be way harder to clean out fluid spills or what have you since it’s made of fabric instead of leather. I don’t have an issue with this since I never eat at my desk or drink anything but water, but if you’re living with children or are just a clumsy person in general this could be something to be aware of. In any case: I am a major fan of this fabric. I love how soft and flexible it feels, and I like how it stays cool even after sitting on it for hours. The fabric also gives the chair a certain ‘coziness,’ you don’t get that cold feeling leather when you sit down on it for the first time in the morning, for example. All things considered I would pick this Softweave upholstery over (fake) leather any day of the week, so as far as I’m concerned Secretlab really hit the mark here. 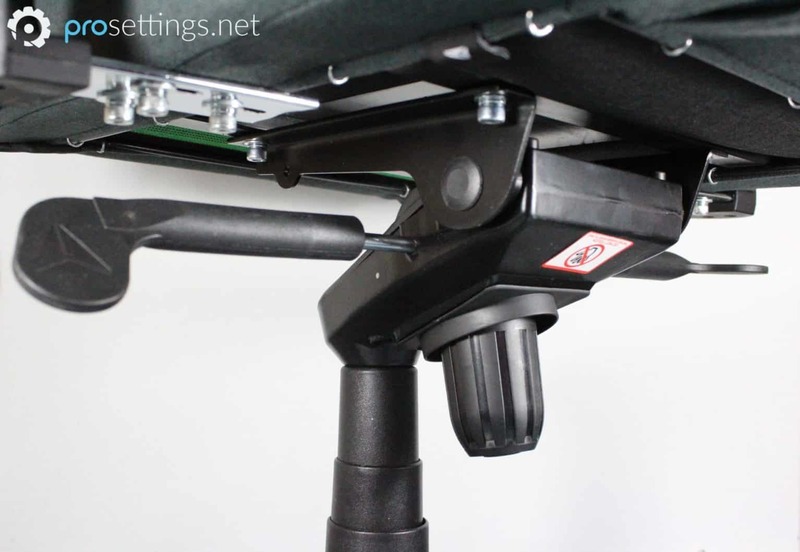 The Titan, like almost every product, is not all perfect though: some of the adjustment levers are in a bit of an awkward position for me to comfortably reach, and while the 4D adjustable armrests lock in position just fine they can be a bit hard to adjust. Not a really big deal to me, since I don’t find myself adjusting these armrests too often, but they could definitely be made to be a bit smoother in the future. While they’re at it they could also increase the padding on the armrests themselves to make them just a tad bit softer. There’s little to no rattling or movement on the armrests once they’re in position however, and the same goes for the remainder of the chair. Even after using it for multiple hours each day it hasn’t even made a small noise once. There’s no creaking when I sit down in it and nothing rattles when I’m rolling around the room or turning the chair. I obviously haven’t had the chair for years, but it is one more factor where you can see how much effort has gone into designing and building this chair. The Titan was already a great gaming chair, and the people over at Secretlab have managed to put the bar extremely high with this new Softweave edition. This custom made fabric looks and feels absolutely amazing and the fact that they managed to make this new upholstery as stretchy and strong as it is comfortable and breathable is nothing short of amazing. I’ll admit that I’m a bit biased since I don’t necessarily love the feeling of leather (fake or real) so the fact that this chair doesn’t have that already gives it a leg up, but there’s just so much to like about this product besides the (admittedly fantastic) Softweave. 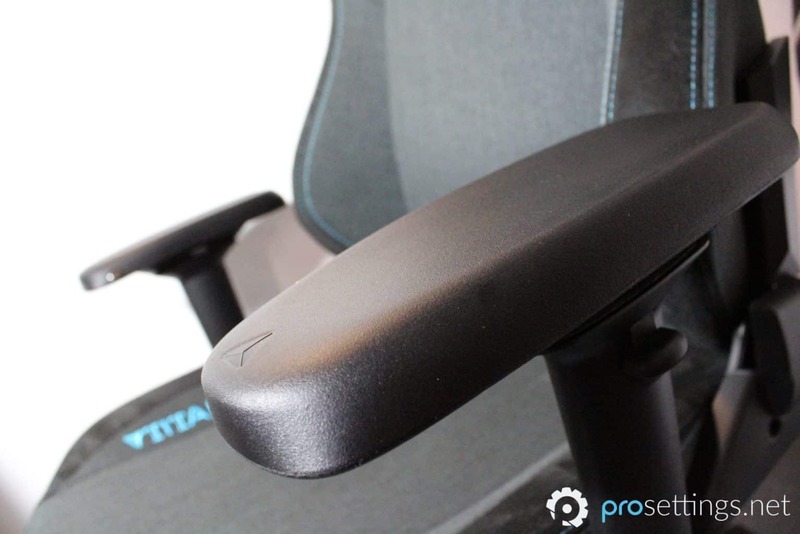 Secretlab’s Titan Softweave initially feels a bit firm and, if you’re not used to that, it even seems like it might not be the chair for you, but once you break it in and you adjust to the way the chair feels it’s an absolute dream to sit on. The Titan is adjustable in every way you’d want it to and is built like an absolute tank, ensuring that you’ll be popping domes in comfort and style for years to come. If you’re not into stiffer feeling chairs you should definitely skip this one though. I’m quite confident that a majority of people will get used to the slightly firmer cold-cured foam that Secretlab uses (I know I did) but if you absolutely want that ‘cushiony’ sensation you’re not gonna love this chair. 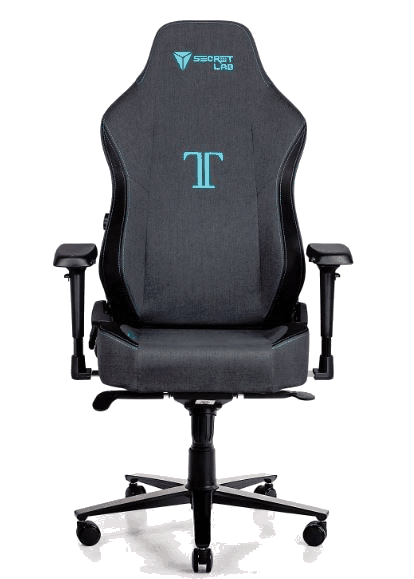 There’s also the fact that they could rein in the logos a bit (or release a ‘stealth version’) and that there’s room for improvement in the armrests, but aside from that this product is absolutely worthy of being your gaming or office throne. Definitely one of the best gaming chairs out there as far as I’m concerned. Are you guys going to do a review on the Logitech MX518 Legendary? We might yeah. We’ll look into it. Thanks for the suggestion!